The Majestic Theatre, formerly the Masonic Opera House, was built in 1853 on the site of Chillicothe’s first bank, which burned down. In 1918 when a Spanish flu epidemic hit nearby Camp Sherman, the theater became a makeshift morgue and autopsy site. It is said that the soldiers’ spilled blood was pumped into the alley, still called Blood Alley today. 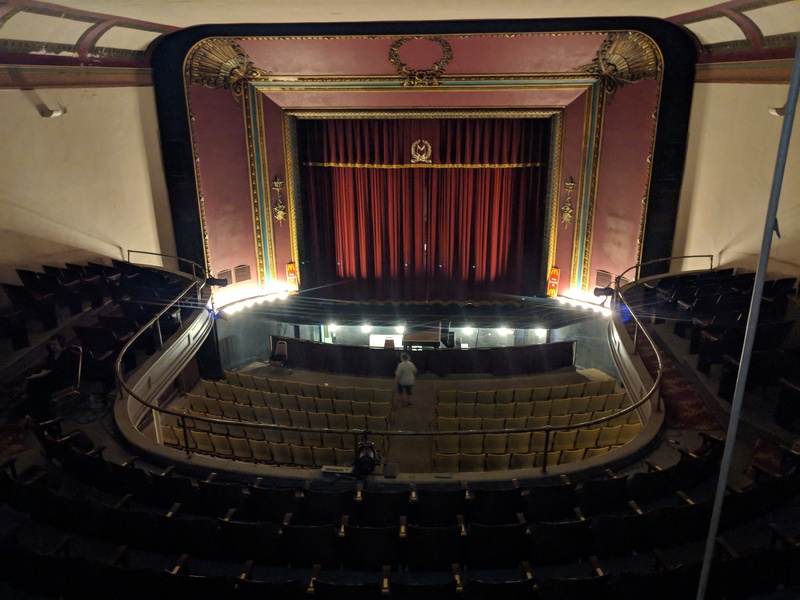 The theater is said to be haunted by apparitions and foggy shapes, and it is said that once during a performance, a dead body apparated on the stage. The apparition of a man in a dark suit and top hat floats down an aisle, and a little girl runs through the dressing rooms. Milton Berle, Sophie Tucker and Laurel and Hardy all have performed here in the theater’s past. I went to school at the majestic for 2 years when PRJVS started a performing arts program. During a performance of Robber Bride Groom I had to go down to the make up room to put on some tooth blackout so it appeared that my character was missing teeth. My station was in the back of the room, I ran in because I only had about 2 minutes before I had to be back on stage. I slapped the tooth black on and turned to run back out only to find every single chair had been pulled out into the two isles. I didn’t hear a thing, I didn’t see a thing but that room was ice cold. Love the Majestic,it’s a beautiful piece of Ohio history. I have never experienced anything myself at the theater, but it’s a beautiful location. The staff and volunteers are friendly and tours are available by just giving them a call. 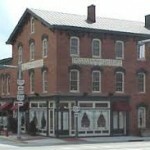 Definitely a must see if you are looking for paranormal locations in this part of Ohio. So I went on the ghost tour in October and was taking pictures from the projector room…I do believe I captured the undertaker’s silhouette walking down the aisle..he is to the right of the woman… if you look on the stage there are 5 orbs in line.